The Kerala women's commission is meeting on Friday and is likely to handover a complaint with the letters to the state police chief. Thiruvananthapuram: Kerala women's commission chairperson MC Josephine today alleged that in the last few weeks she has received several threat letters and even human excreta packed in a cover ever since they took up a case against legislator PC George. "I have been getting repeated threats with extremely obscene language. Twice I have even received human excreta parcelled to me. The last was just before Onam," Ms Josephine told NDTV. 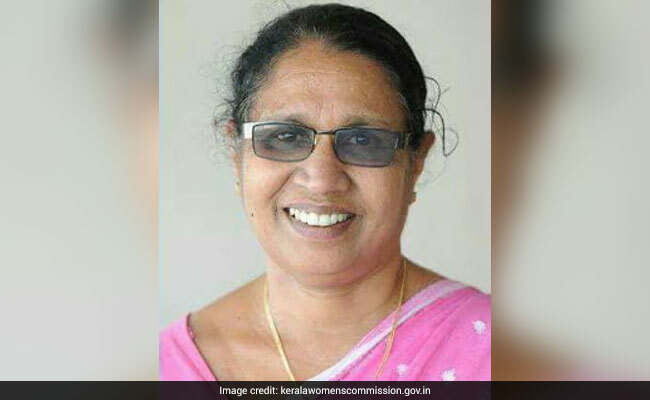 It was in August that the Kerala Women's Commission had said that they will be taking up the case against legislator PC George based on a complaint by a Kerala actress who was sexually assaulted in February. The MLA in a press conference had allegedly named the actress and even questioned the seriousness of the assault on her asking, "How did she return to work just the next day, after the assault on her?" The actress had also written an open letter to the Chief Minister Pinarayi Vijayan objecting to the remarks made by Mr George. Reacting to the threat letters and human excreta that have been parcelled to her, Ms Josephine said, "Women these days don't remain silent. They raise their voice against the atrocities that they face. And obviously men cannot handle this. This kind of behaviour is only a reflection of their mindset." The Commission is meeting tomorrow and is likely to handover a complaint with the letters to the state police chief. Women's Panel Hits Out At Kerala Lawmaker For Calling Nun A "Prostitute"